Nova Scotia is brimming with prestigious education and is home to some of the oldest and youngest universities in Canada. There are 11 universities in Nova Scotia as well as 13 Nova Scotia Community College campuses spread throughout the province. Nova Scotia universities strive on providing an array of academic courses with varying degree-levels. They also promote diversity, welcoming a mix of students from across Canada and all around the world creating an inspiring learning environment for all. What sets Nova Scotia universities apart from the rest is the intimacy and friendliness that flows campus-wide. Forest Lakes is only a 40 minute drive to five of these universities located throughout the city of Halifax, with Mount Saint Vincent and Acadia being only 30 minutes away. Founded in 1818 by the Lieutenant Governor at the time, Dalhousie University was established as a nonsectarian college and is now celebrating 200 years of inspiring education. 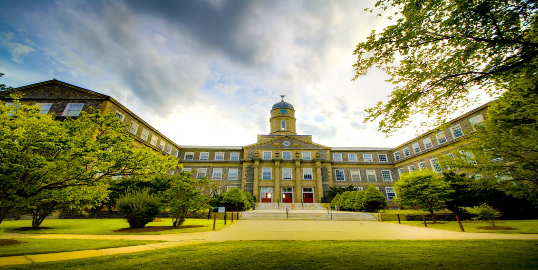 Currently composed of four beautiful campuses, three of which are located throughout the city of Halifax, the newest addition to Dalhousie is the Nova Scotia Agricultural College located in Bible Hill. 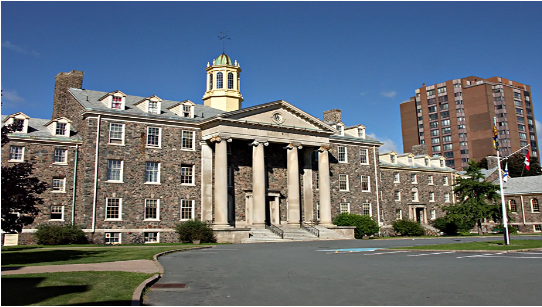 Dalhousie offers more than 4,000 courses ran by multiple faculties; Science and Health being the largest faculties the university offers; Dalhousie specializes in Oceanography and also prides itself on their Medical School, offering some of the most advanced medical and research education programs in Canada. Dalhousie University encourages student athletes to strive for success by offering a highly recognized athletic program that carries an excellent reputation. Being Atlantic Canada’s largest research university, Dalhousie welcomes diversity and encourages innovation in the classroom. Nestled in the South End of Halifax, Saint Mary’s University is one of Canada’s oldest universities. Surrounded by vibrant nature and iconic buildings all within one city block, Saint Mary’s has the close-knit feel everyone desires. Providing a culturally diverse community with the largest international student percentage, Saint Mary’s provides opportunities for students to experience the world. Recognized for their successful Football team, Saint Mary’s prides itself on their large sports facility. This urban, mid-sized university specializing in high quality programs such as Business and Psychology, is also recognized for leading programs in both Business and Chemistry across the nation. Known as research leaders, this school strives on cutting-edge academia. Commonly referred to as The Mount, this university has a commitment of being socially responsible global citizens. This institution was one of the only establishments that gave the opportunity for higher education to women. Recognized for its small class sizes and personalized academic training, this beautifully, quaint campus is home to a diverse group of 4,000 students. The Mount has created a niche for itself in unique professional programs including Public Relations, which offers the only four-year bachelor’s degree program in Public Relations in the country. Located minutes from downtown Halifax, this location is perfect for students looking for the buzz of a city and the serenity of nature. Located in the heart of Halifax, The University of King’s College is a small campus with big firsts. It is the oldest chartered university in Canada. Founded in 1789, it has also made history by being the first English-speaking university in the Commonwealth, aside from the United Kingdom. Filled with rich history, this institution is renowned for its Foundation Year program. Another first this university strives on is its Master program of Fine Arts in Creative Nonfiction, in which no other university offers in Canada. King’s College offers extraordinary interdisciplinary programs in the Humanities and Journalism that are known both nationally and internationally. Looking for an environment filled with creativity and innovation? 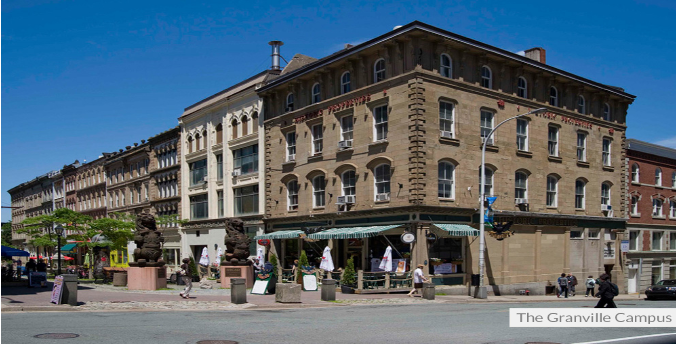 The Nova Scotia College of Art and Design or more commonly known as NSCAD is a post-secondary fine art school located centrally in Downtown Halifax. Offering an art-school experience unlike any other, this interdisciplinary university became the first degree-granting art school in Canada. Surrounded by the fresh ocean air and innovative buildings, the vibrant bohemianism of the city allows inspiration to flow freely through the campus, inspiring young artists. Shaping leadership in the community is what the Atlantic School of Theology (AST) embraces as it helps develop students for ministry. Located on peaceful grounds in the heart of Halifax’s South End, this campus is surrounded by natural beauty. AST provides students with the opportunity to explore new avenues of theological education and it also has a collaboration with Saint Mary’s University in regards to a Masters program. Shaped by tradition, this school has an open and welcoming environment. Nestled with rich history in the warmth of the Annapolis Valley overlooking the Bay of Fundy, Acadia University is one of the oldest and most respected Liberal Arts universities in Canada. Enriched in diversity, under 4,000 students are in attendance with small class sizes that are held throughout the strong academic programs. Led by award-winning professors and real-world opportunities, Acadia inspires many students. Acadia is also home to a very reputable athletic program with 11 varsity programs available. This smaller-sized university made some big noise from being the host of the national and international youth rugby matches which took place this summer. The spirit of this university embraces a sense of belonging, while encouraging students to achieve future aspirations. 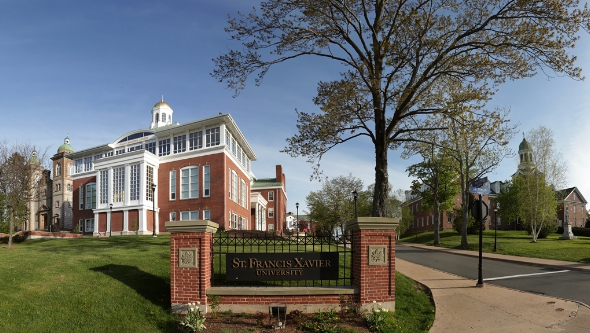 St. Francis Xavier University, commonly known as StFX, has a prestigious reputation as being one of the finest undergraduate universities in the country. With an intimate learning environment and high quality teaching, students thrive at this institution. StFX offers a wide variety of fascinating programs to choose from, ranging from Arts, Science, Business, and Education, this university provides students with opportunities in which they can apply their knowledge and skills in all aspects of their lives. St. Francis Xavier University strives on integrity and having respect for all. One of Canada’s youngest universities established in 1974, Cape Breton University (CBU) is a unique place with a lively campus. This university highlights diversity, being recognized as Atlantic Canada’s leader in Aboriginal post-secondary education. CBU offers innovative degree options in Liberal Arts, Business, Science, and Technology. With contemporary technological tools, this institution thrives on academic and research excellence at the undergraduate level. Anchored in the Acadian community, Université Sainte-Anne embraces culture, being the only francophone post-secondary university in Nova Scotia. Université Sainte-Anne has superb programs, including a French Immersion program. This institution is where excellence in research and development is accomplished. With five campuses located throughout the beautiful Southwest shore of Nova Scotia, Université Sainte-Anne provides the utmost opportunity to thrive in the french language. It is without a doubt that Nova Scotia has a very enriching history filled with firsts when it comes to post-secondary education. These 11 unique universities are striving in top-of-the-line, quality education, not only in academics, but in their surrounding environments that allow for students to grow and develop.